The rakali is WA’s only freshwater native aquatic mammal. 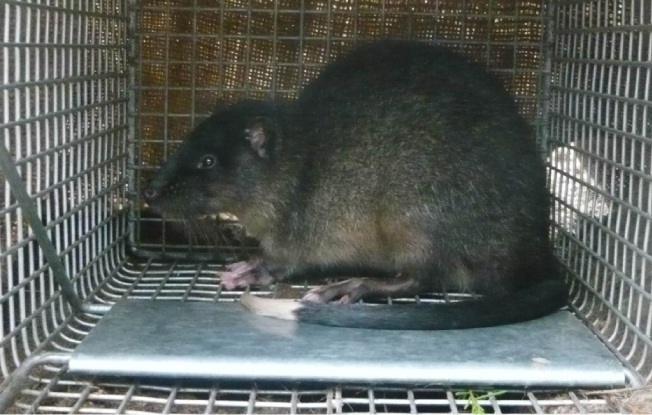 The baited “opera house” traps were placed in the river between Mandurah and Mundijong. Department of Parks and Wildlife nature conservation officer Paul Tholen said the enclosed yabby or marron traps, that bore a resemblance to the profile of the Sydney Opera House, were prohibited in all natural waterways, including rivers. He said marron and yabbies formed part of the rakali’s diet and were naturally lured into the underwater traps. “But rakali are air-breathing mammals and can drown in traps within several minutes,’’ he said. Mr Tholen urged anyone who might have set one of the traps to remove it as soon as possible. “If the public come across one of these traps they are advised not to interfere with it, but report it immediately to the Department of Fisheries or Parks and Wildlife,’’ he said. Mr Tholen said the rakali was WA’s only freshwater native aquatic mammal, protected under the Wildlife Conservation Act and a priority-listed species. “It is unique with its webbed feet, streamlined body and white-tipped tail and more akin to an otter than a rat. To report an injured rakali, contact the Wildcare Helpline on 9474 9055. Traps should be reported to the Fishwatch hotline on 1800 815 507.